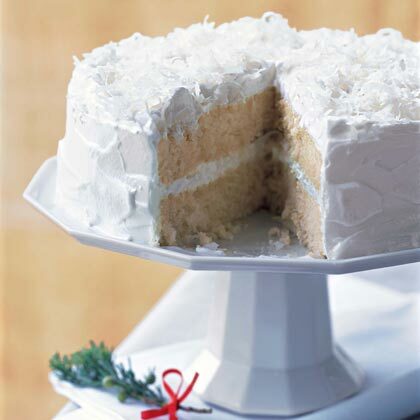 I must share one of my all time favorite cakes with you - Double Coconut Cake from Cooking Light. I've been making it for years and it's OUTSTANDING. No joke. I'm not a fan of heavy buttercream frostings and this cake is SO light and fluffy. Not too sweet and just the right amount of coconut. The coconut milk in the batter makes the cake unbelievably moist! I make this cake every year for Easter and I just made this mini version for my birthday this past weekend. 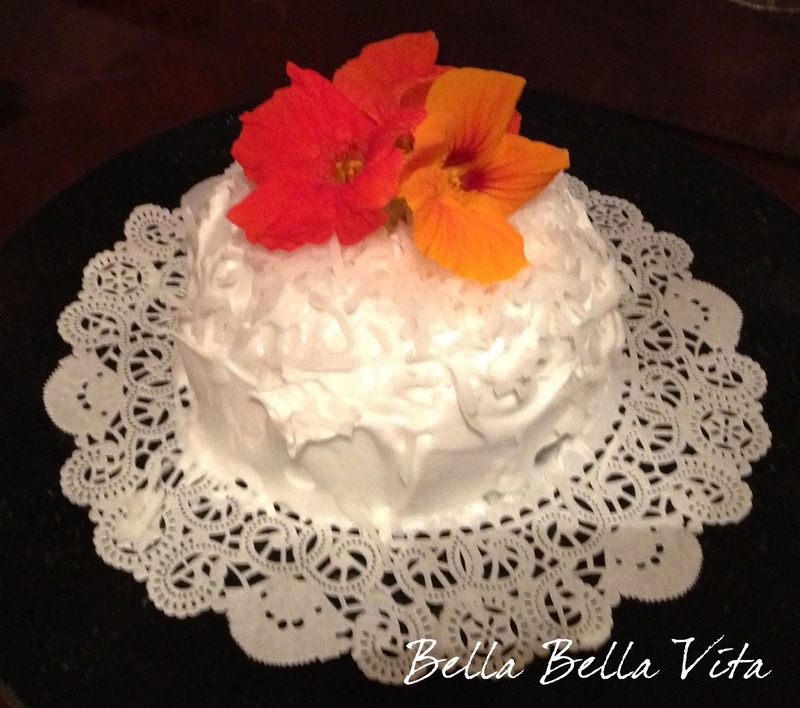 I added nasturtiums on top from my garden for a festive touch. This cake is also dreamy with strawberries. Enjoy!